After lots of research, we installed these interlocking rubber mats over our concrete floors. They are 1 square foot and 1” thick. While we now use the gym mostly for Peloton cycling (I’ve written all about that in my Peloton review) we also use it for yoga, and, cardio workouts (push-ups, burpees, jumping jacks), etc. The mats offer VERY GOOD support for our knees and very easy to clean. 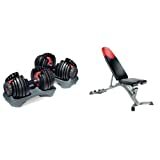 They are also great for HIIT (high-intensity interval training) and Tabata style classes. The ends are straight for the edging around the room. A little cutting and measuring was necessary. Here is a picture that captures both the rubber floor mats and dropped ceiling (and a few other things). The yellow wall is cement and the white wall is the drywall wall (am I saying that right – it sounds funny) that we put up. We contemplated putting a wall over the cement but didn’t think it was necessary, especially as we will be adding mirrors. Update January 2018: We added the mirrors on one wall! We needed two interior doors. One to enter to the workbench/boiler room area and another for where we store our audiovisual equipment (see Sonos blog for pictures if you really want to see that mess…). These are solid doors and look quite nice. We like to cycle with the lights down low and the music cranked high. Therefore, we purchased dimmable recessed lights. Not much to say about these – they are lights that dim. Easy to install. As this was a home gym we decided on an inexpensive television to stream our on-demand Peloton workouts via Apple TV. We jumped on a Black Friday deal and got this great deal on a 49” flat screen TV that we hung on the wall. With no windows we needed to be able to move some air so we installed a duct fan. Here is what you need (plus a licensed electrician). If you have windows, moving air should not be an issue with a standard box or floor fan and you can skip this section! This is the fan that moves the air. We installed it outside of the gym in the unfinished basement area. It is very quiet and we use it just every so often (and much less than we thought we were going to need). We installed it in the ceiling (pictures below). This is installed inside of the workout area on a wall and connects the metallic duct (flexible piping) to the green duct fan. Its just a nice way to cover a hole in your wall. Its where from where the air is pulled. Here is what it look like on our wall. Its controlled by the light switch just below (which for some reason looks crooked in my picture…). Note, this is so quiet inside the gym area that we used a light switch with a red light to remind us when it is on. Not sure why it looks crooked here?!?! Arghh! This tube moves the air from inside the gym to a window. Again, this is all outside the gym area in the unfinished part of the basement. Here is what it looks like OUTSIDE of the gym. Pretty, right? You will also need some duct clamps. That is it. It was all quite simple and took about two weekends. Its not the fanciest of all gyms and we still need to install mirrors but it does the job and we use it several times a week. We have two kinds, light weights and heavy weights. 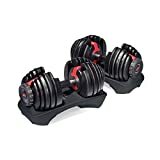 Light: We have a set of light 2, 3 and 5 pound dumbbells and some 15 pound dumbbells. These are great for lighter routines or arm exercises on the Peloton. We eventually bought this compact weight rack to get them off the floor a bit. 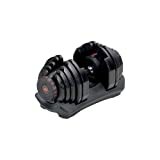 Heavy: We also have an awesome set of Bowflex adjustable dumbbells that can be adjusted from 5 pounds to 52.5 pounds. They are very easy to use and a total space saver. We also bought Bowflex stand that fits in the corner quite nice. Even our kids are getting into the action! Our tastes have evolved over the years. Insanity and Friends. We have done Insanity, Insanity Max:30, T25, Core de Force and a bunch of others with great success; however, we found as we were getting a little older (read: in our 40’s) our bodies weren’t too keen on slamming to the ground for burpees or lifting heavy weight. As detailed in my earlier Peloton review blog, we now stream our workouts from the Peloton App through Apple TV. The monthly Peloton subscription fee is $16. I cannot say enough good things about Peloton. We love to cycle and the classes are incredibly good workouts. From the Peloton app I can choose from over 7,500 pre-recorded classes or access 14 live daily classes. What’s great is that you can filter the class selection. For example, you can choose class lengths from 20 minutes to up to 120 minutes (I usually do a 45 minute class). You can also choose the theme of music you want to spin to – Country, Pop, Hip Hop, Rock, 90’s, Easy Listening, Live DJ and even your favorite instructor. In addition to cycling, we can access cardio workouts, yoga classes, ab routines, etc. It is quite awesome and I cannot recommend it enough. As for the bike, we bought the Sunny Spin bike which was for less expensive than the actual Peloton bike. Its a great, solid bike that is surprisingly quiet. As always, please let me know if you have any questions. I will update the blog as we add new equipment and mirrors. Love your site…have been “pining” for a Peloton bike but, could not justify the high HIGH cost. I ordered up today on Amazon and cannot wait to get started! Awesome, I love it. Let me know how you like it. Did you go with an iPad holder or live stream? Happy spinning! Great job! This post is inspiring me to start working out again. We are considering doing something similar to the unfinished area of our basement but we have the furnace, washer, dryer, etc. to contend with. 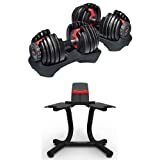 I have been dreaming of transforming my basement into a gym. Funny comment on Pinterest! Hi. I love spinning and want to get a bike in our basement. However the ceiling isn’t very high. I am 5’10. 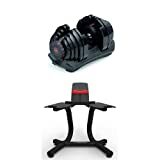 What dimension from floor to ceiling do you think necessary to be able to do my virtual spin class which includes climbing out of the seat? Hi! Tough question! I suggest borrowing a pedal bike, bring it to your basement, get on the bike with someone holding the handlebars and stand up on the pedals to simulate climbing when you are out of the seat. This should answer your clearance question.